in Case of Issue. 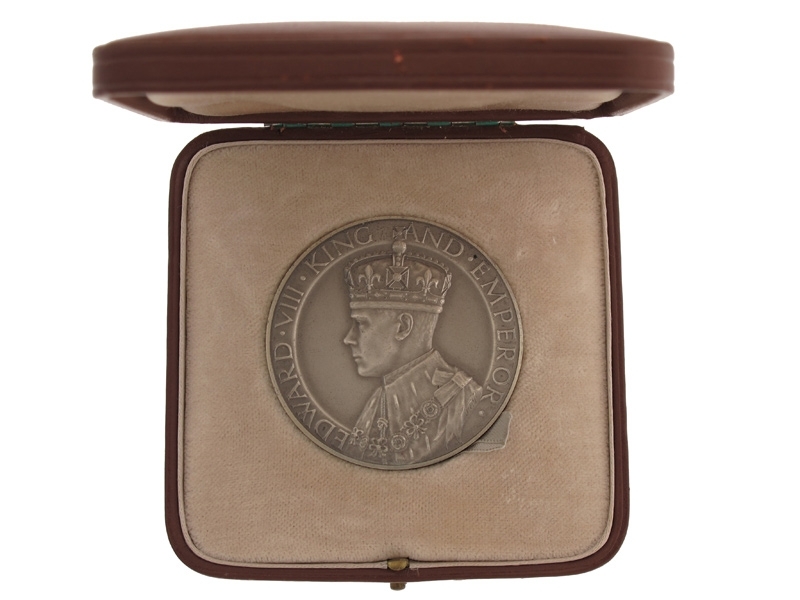 In silver, 51.5 mm, crisp detail, high relief, artist signed J. PINCHES LONDON on reverse, mint condition; in fitted, brown leatherette case of issue. 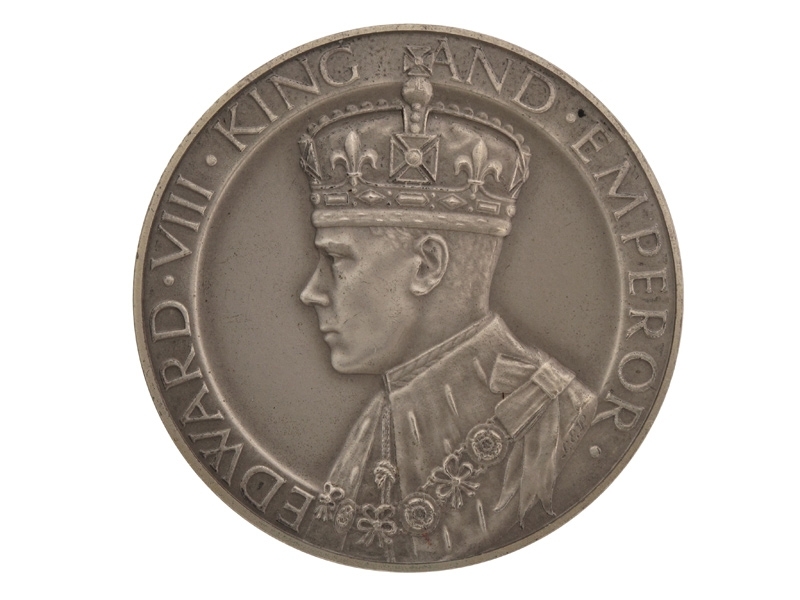 Footnote: The medal's obverse has the bust of Edward VIII facing left, with the inscription "EDWARD VIII KING AND EMPEROR", while the reverse is inscribed "BORN 23 JUNE 1894, INVESTED: PRINCE OF WALES: 13 JULY 1911, ASCENDED THE THRONE - 20 JANUARY 1936 - ABDICATED: 10 DECEMBER 1936 IN FAVOUR OF HIS BROTHER H.R.H. 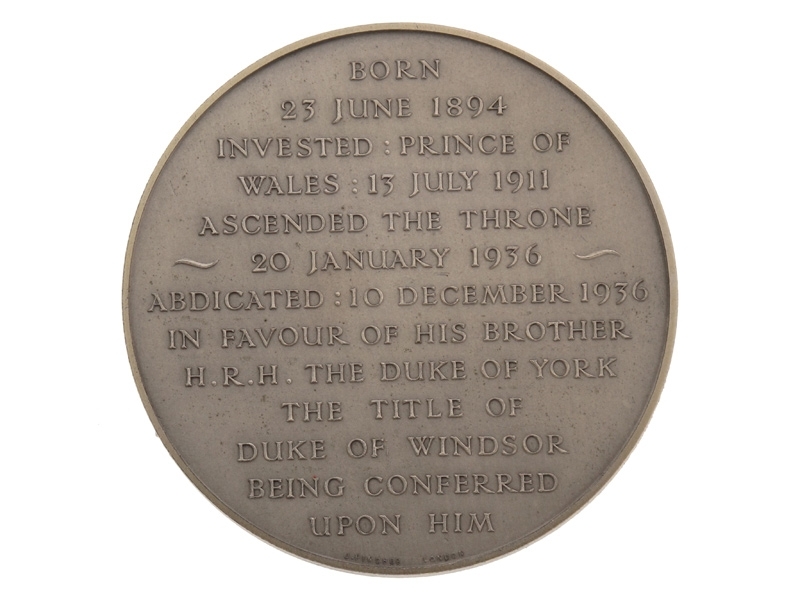 THE DUKE OF YORK, THE TITLE OF DUKE OF WINDSOR BEING CONFERRED UPON HIM".